These Tisha B’av pages include everything you need to know about Tisha B’av including background information for the educator, vocabulary, educational themes, sample activities, and a kinnot guide. To contribute material, please click here. What: Tisha B’av is the Jewish fast day mourning the many tragedies that befell the Jewish people on this date, most significantly, the destruction of the first and second temples. Tisha B’av is preceeded by a period of three weeks, and nine days where mourning practices are increased as the actual date of Tisha B’av gets closer. Where: The fall of the First Temple in Jerusalem is documented in 2 Kings (Melachim Bet) 25: 1-26 and Jeremiah (Yirmiyahu) 39: 1-14. The destruction is foretold in prophets Jeremiah and Zephaniah. The Book of Lamentations (Eicha) contains emotional reactions to the destruction. It is also mentioned in Psalm 37. Accounts of the Second Temple destruction can be found in many places in the Talmud. For a complete list go here. When: Tisha B’av occurs on the ninth day of the Hebrew month of Av. It usually falls out in late July or August. If it falls out on a Saturday, the fast will be pushed to Sunday. On this day, the sin of the spies occurred. The spies returned from scouting out the Land of Israel with a negative report, which resulted in them wandering in the desert for forty years instead of going straight into the land. On this day the destruction of the First Temple occurred, in 586 BCE, by the Babylonians, led by Nebuchadnezzar. This was followed by the Babylonian Exile. On this day the destruction of the Second Temple occurred, in 70 CE, by the Romans, led by Emperor Titus. This was also followed by exile. On this day, the Bar Kochba revolt was crushed, and the last Jewish stronghold, Beitar was destroyed, which resulted in thousands of Jews being killed. On this day, the Temple Mount was ploughed over and rebuilt as a pagan city by the Romans, led by General Turnus Rufus. Tisha B’av has also become a day for mourning for other Jewish tragedies that occurred throughout history, many of which happened on this date, such as the ending of the Spanish Inquisition and Jewish expulsion from Spain in 1492, the declaration of the First Crusade in 1095, and the outbreak of WWI in 1914. Leading up to Tisha B’av: Tisha B’av is preceded by a period of three weeks in which many have the custom of increasing mourning practices as Tisha B’av approaches. The Three Weeks begin with the fast of the Seventeenth of Tammuz, when the first breach of Jerusalem’s walls was made, in the First Temple era. Many have the custom of not listening to music, not getting haircuts, not getting married or having other celebrations, and not attending live performances during this period. In the nine days preceding Tisha B’av, mourning practices are increased, and many refrain from eating meat, drinking wine, bathing pleasurably, laundering or wearing freshly laundered clothing, and buying new clothing. On the afternoon before Tisha B’av, some of the prohibitions of Tisha B’av take effect, such as not learning Torah (except for Jeremiah, Lamentations, Job, and mourning laws) and not engaging in pleasurable activities. On the evening before Tisha B’av a last meal is eaten before the fast, consisting of a piece of bread and hard boiled egg dipped in ashes, reminiscent of a mourner’s meal. These prohibitions apply for the whole twenty-five hour period; however, there are some prohibitions that only apply until midday, such as not sitting on proper chairs and greeting people. Prohibitions of the nine days are kept until midday of the tenth of Av, because the temple continued to burn into the tenth day. Additions to the Prayer Service: Megillat Eicha or The Book of Lamentations is read in the synagogue during the Ma’ariv service, on Tisha B’av night. A special Torah portion is read on Tisha B’av during the Shacharit service, as well as various elegies (kinnot), which were written throughout the generations, that bemoan various tragedies that have befallen the Jewish people throughout the ages. Aneinu and Nachem are added to the Amidah prayer in the mincha service. Special haftarot are read in the synagogue on the three Sabbaths before Tisha B’av, detailing the calamities (shelosha d’puranuta), and on the seven Sabbaths after Tisha B’av, providing comfort (shiva d’nechemta). Sin’at Chinam – Teach the story of Kamtza and Bar Kamtza (found in the Talmud, Gittin 56a). Read modern day scenarios of people not acting kindly towards others and have kids act out these scenarios. For older groups you can read and discuss the Kitty Genovese case (which can be found here). Discuss the ideas of kindness and social responsibility, which lack of, ultimately led to the destruction of the second temple. Model Temple – Challenge kids to build a model of the Beit Hamikdash, which can either be kept or destroyed. “Yosl Rakover Talks to God” – Divide students into groups and give each group a section of this text to discuss. Discuss Yosl’s reaction to the suffering the Jews experienced in the ghettos of Europe. What feelings are being expressed? Discuss theological questions that arise, attitudes towards God in times of suffering, questions about human nature, etc. Then have one representative from each group read the section to the entire group, in order, to experience the full impact of the text (full text can be found here). Tragedies/Hard Times in Modern Israel – Teach about the expulsion from Gush Katif , that happened around the time of Tisha B’av in 2005. Show and discuss the movie “Home Game”. Then discuss the current situation of rockets being launched from Gaza into Sderot and southern Israel. This clip may help. Read the account of a psychologist who went to Sderot to help the people there, or the recent article written by a mother in Sderot. Have the kids write letters of support to children in Sderot. What are we mourning? – In order for students to truly identify with this day, they must understand and appreciate what we lost when the temples were destroyed. This can be approached by discussing what the Beit Hamikdash did for us. Have kids decorate a map of Israel, highlighting important cities and marking Jerusalem at the centre. Discuss the importance of having a national centre which united the people, and place where the entire nation could come to pray and celebrate holidays together. Read Solomon’s prayer at the inauguration of the first temple which highlights this point (1 Kings, 8: 12-53). Discuss the lack of an intimate relationship with God which came about as a result of the destruction. A Day in the Life of the Temple – Dress kids up as Cohanim and Leviim and have them re-enact various jobs and ceremonies that were performed in the Beit Hamikdash. Nine Days Timeline – On each of the nine days preceding Tisha B’av, teach about a specific tragedy that happened to the Jewish people throughout history (ex: Chmieknicki Massacres, Crusades, Spanish Inquisition, Holocaust) and create a cumulative timeline, including pictures and dates, in order to give kids perspective on the various events. Beit Hamikdash Fair – Have a fair in which kids get to experience what it would be like to make a trip to the Beit Hamikdash. Have different stations between which kids rotate, each one being a different stage in the pilgrimage, such as exchanging money, dunking in the ritual bath, buying an animal to sacrifice, etc. Corrupt society – Bring in newspapers and magazines and have kids cut out headlines that correspond to reasons given by the Talmud for the temples being destroyed. Create a collage and discuss the idea that we still live in a corrupt society and that many of the societal problems that existed then, still exist today. Discuss changes we can make to eliminate these issues. Distorted Image Game – Have one kid draw a picture and then describe it to the group. Have them attempt to draw the picture based on the description given by the initial drawer. Compare their drawings to the original and discuss the idea of us having a removed and distorted image of what having a Beit Hamikdash was like. We don’t have the full picture, and it is hard for us to mourn for something that we haven’t personally experienced, but nonetheless we have to try our best to understand and identify with it. Shrinking Island Game – Kids walk around a large sheet or bunch of towels, and on the signal, they have to gather onto the sheet, which each time gets smaller, causing them to crowd together to all fit. Have them imagine what it would be like to live under these kinds of conditions, such as the way the Jews of Jerusalem lived during the time of the siege, or how the Jews of the ghettos lived, with minimal food and water and very little space. 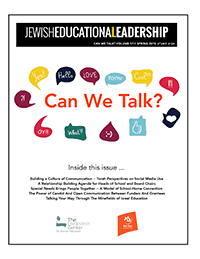 Debate – Have kids prepare and debate whether we are able to achieve Beit Hamikdash goals in modern times without the physical building, or are we dependant on the physical building for our spirituality, unity, etc. Family Roots – Have kids research their family history and create a short presentation for the group. On a large map of the world have each kid mark the places where their families came from. Discuss the dispersion of the Jews after the destruction of the Second Temple. Mi Yiten Roshi Mayim (מי יתן ראשי מים) : This kinnah was written to commemorate the events of the First Crusade in 1096. Why don’t we add a special day of mourning for each individual tragedy? Why has Tisha B’av become the all encompassing day of mourning? What connects all of the tragedies that have befallen the Jewish people? Arzei Halevanon (ארזי הלבנון) : This kinnah focuses on the Aseret Harugei Malchut, religious leaders of the Jewish people who were martyred by the Romans. Tell individual stories of some of the martyrs. Why was it important for the Romans to rid the Jews of their leadership? Sha’ali Serufa Ba’esh (שאלי שרופה באש) : This kinnah was written in reference to the burning of the Talmud manuscripts that took place in Paris in 1242. This was part of the Church’s attempt to eradicate Judaism and force conversion onto the Jews of Europe. What is the most important object of a Jew? Why did the church feel that getting rid of the Talmud was the key to getting rid of Judaism? Some Jews converted to Christianity or outwardly converted while continuing to practice Judaism in secret. Was this ideal? Give out the text of the kinnah with its English translation and have kids highlight all of the sad words in the first paragraph. Have them circle all of the words related to fire and burning throughout the whole text. In a different colour have them highlight the positive words in the last paragraph, showing the progression which starts on a negative note and ending on a positive one. Esh Tukad (אש תוקד) : This kinnah compares the great joy that the Jews experienced when they left Egypt to the terrible pain they felt when they left Jerusalem. It describes the reversal of events which started out with great potential only to end tragically. What was the happiest moment in your life? The saddest? Why did the author choose to connect these two events in our history? Tzion Kechi (ציון קחי) : This kinnah describes the beauty and uniqueness of the Land of Israel, which was lost when the destruction occurred and its people were exiled. What were your first impressions when you went to Israel? What role does/should Israel play in our lives as Diaspora Jews? Do you see Israel as being essential to your Jewish identity? Eli Tzion (אלי ציון) : This kinnah details what was lost as a result of the destruction, and why it is so tragic. It compares cries of mourning to the cries of a woman in childbirth. How are we still feeling the effects of the destruction? The kinnah uses two analogies to compare the pain of the destruction to, one of a woman mourning her dead husband and the other of a woman in childbirth. What is the difference between these analogies? They both describe pain, but one has a positive outcome which is dependant on the initial pain. How can we take these ideas and ensure a positive outcome for the destruction?